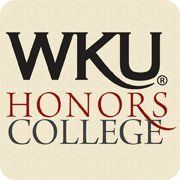 Because Western Kentucky University does not maintain a back-up system for its departments, the Computer Science Department has implemented its own. Using Bacula software on a Unix server, files from faculty desktop computers and servers are backed up to a tape drive on a daily basis. The server is protected from outside threats with a carefully configured firewall script. This paper explains how both the firewall and the back-up software were implemented and how successful that implementation has been. Gaylord, Victoria, "Back-up Server for Computer Science Department" (2007). Honors College Capstone Experience/Thesis Projects. Paper 116.